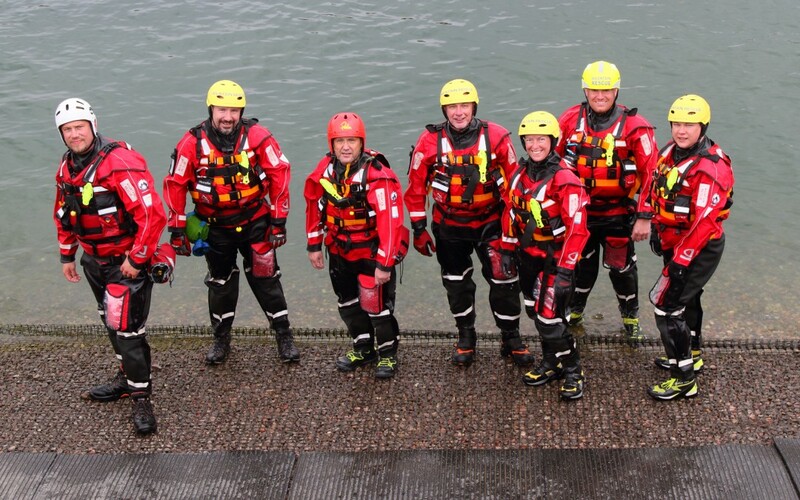 Say Hello to our Swift Water & Flood Rescue Team. Over the last 24 months we have been increasing our operational resilience within our water rescue capabilities, training (and retraining) team members in Water Awareness and qualifying a number of members as Water First Responders. Following 4 days of intensive training and assessment we are pleased to announce that 7 of our team have qualified as Rescue 3 Europe, Swift Water & Flood Rescue Technicians (SRT). A funding boost from People’s Postcode Lottery People’s Postcode Trust enabled us to increase our capability to provide Water Rescue and Flood Rescue services by funding new drysuits and the swift water rescue course. Huw Jones (Deputy Team Leader) said: “Central Beacons Mountain Rescue Team is being called to an increasing number of incidents, many of which involve operating around swift flowing water and increasingly we’re also being called to assist in flood incidents.